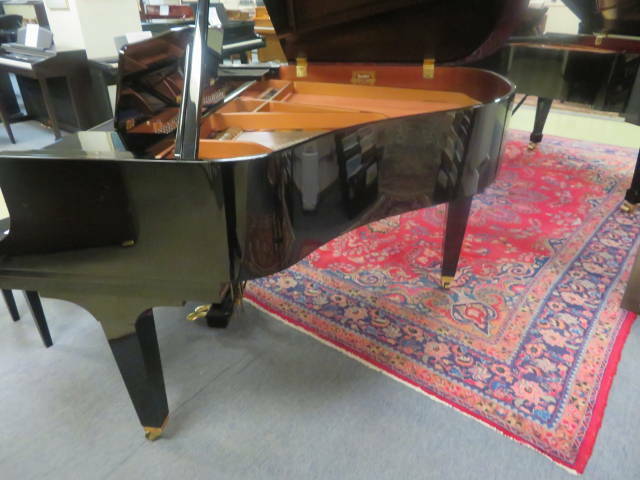 Kawai 5’1” Professional Grand Piano (serial #1661901) with original bench hand crafted in Japan 1986. 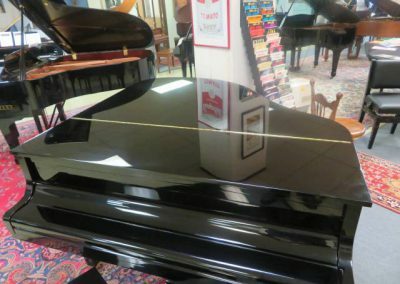 This Kawai grand was Rarely Played and came from a beautiful home environment. 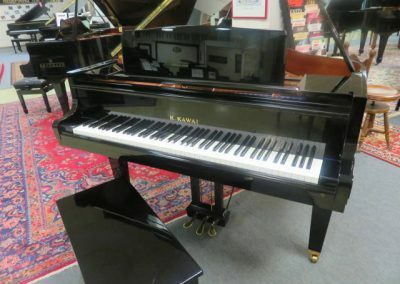 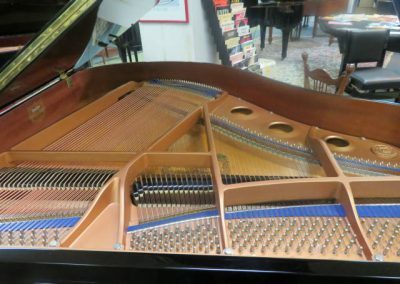 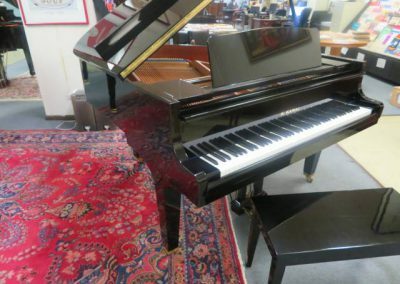 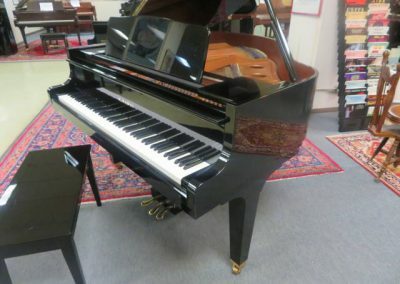 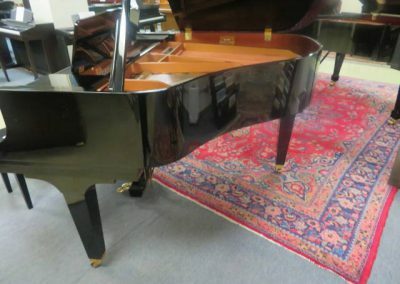 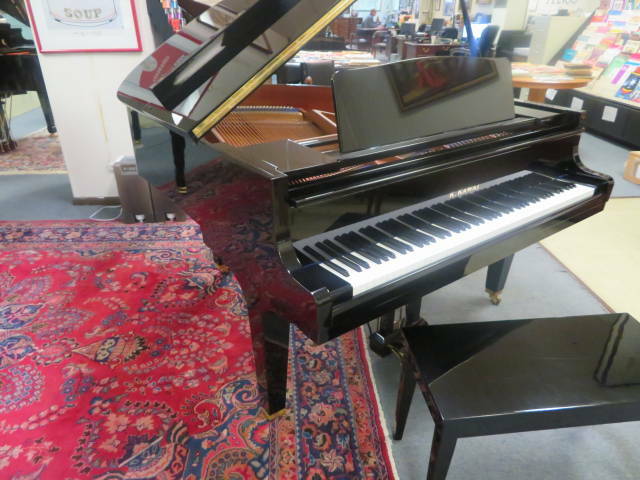 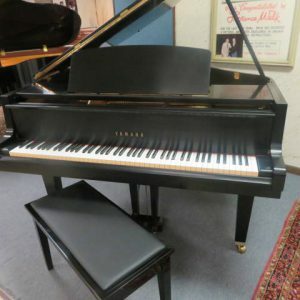 This Kawai grand and is in Superb Condition Inside and outside. 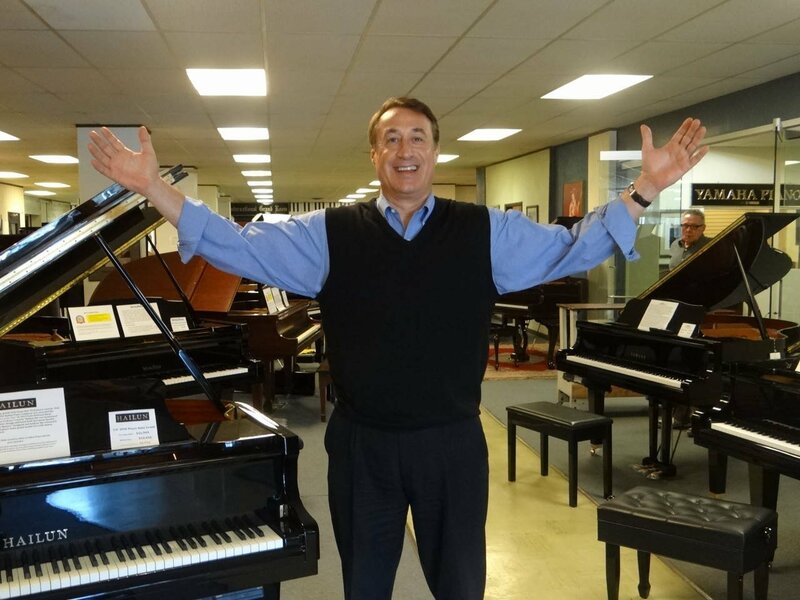 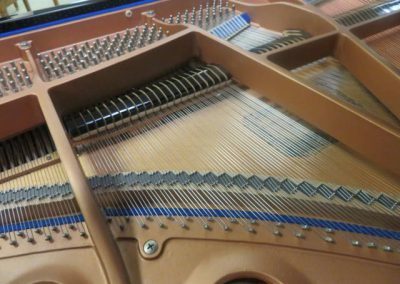 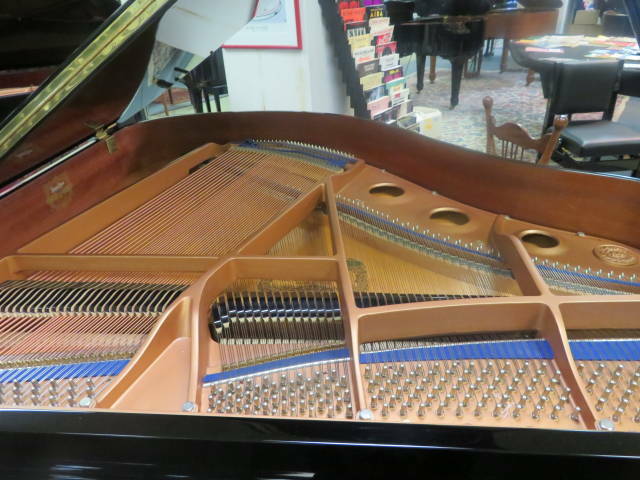 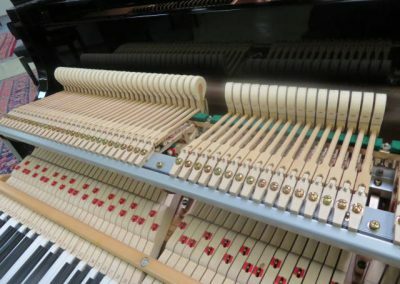 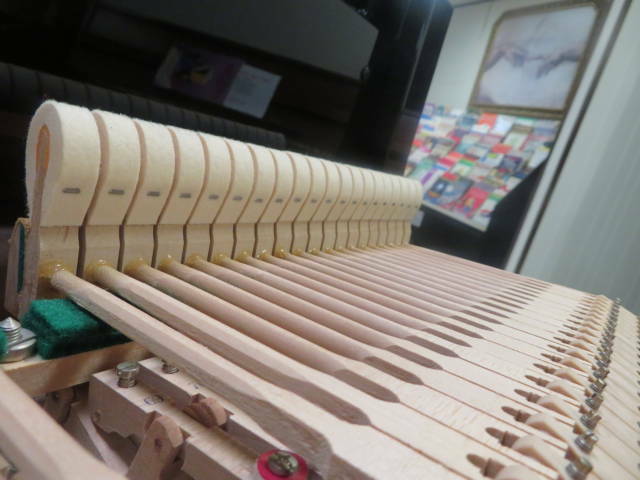 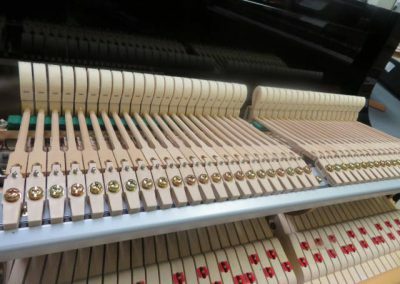 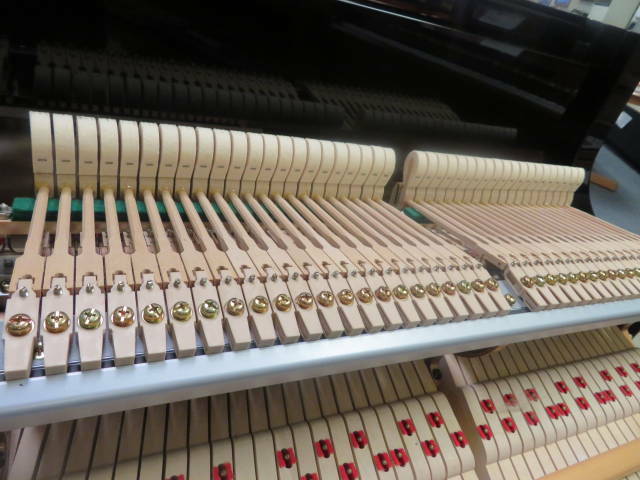 The piano has been professionally concert tuned to A-440. The case is stunning polished ebony and is in Superb Condition. 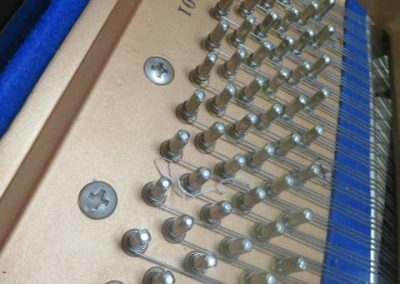 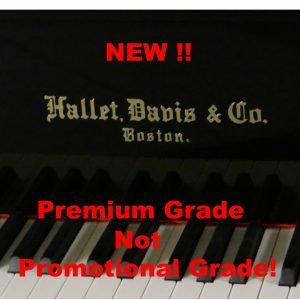 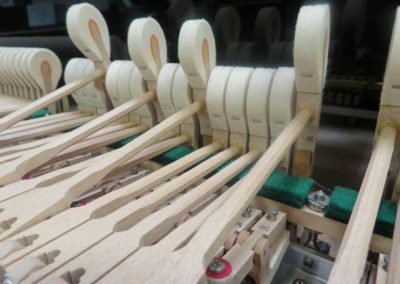 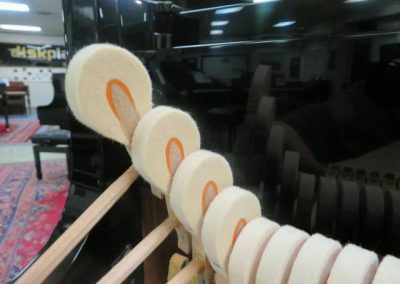 The piano action has been professionally regulated to Kawai specifications. 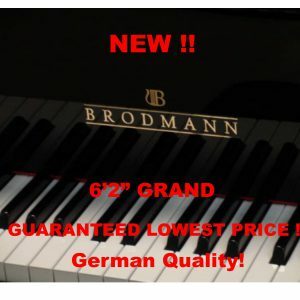 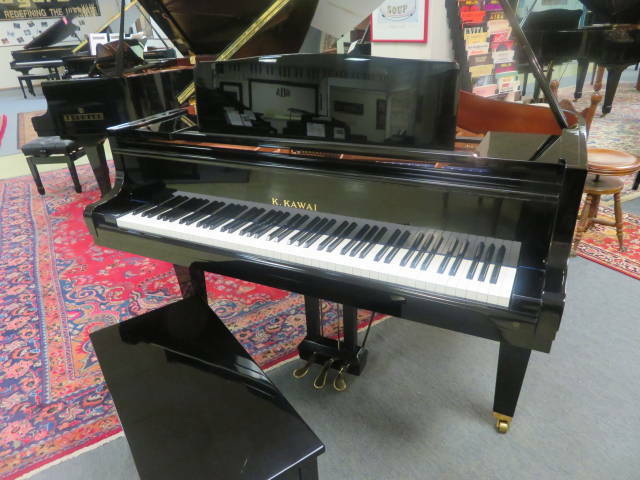 This Kawai grand has a very responsive touch and a very clear singing tone. 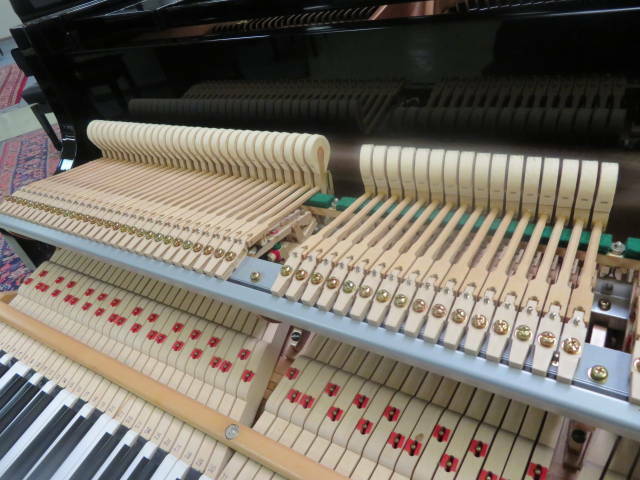 ACTION: (hammers, keys, shanks, dampers, flanges, whippens) The hammers are in Excellent Condition. 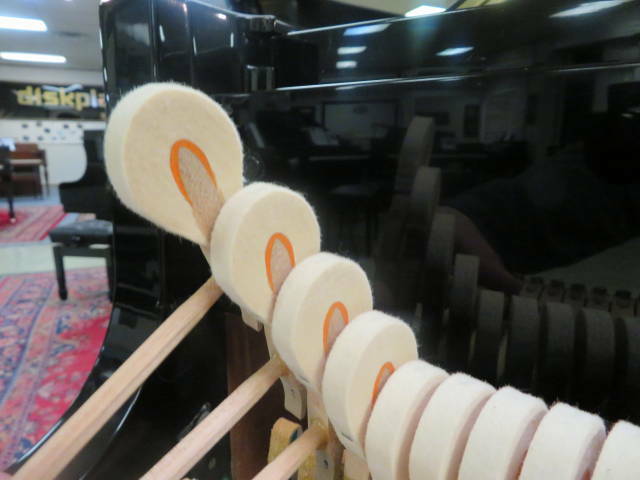 The hammer shanks and flanges are in Excellent Condition. 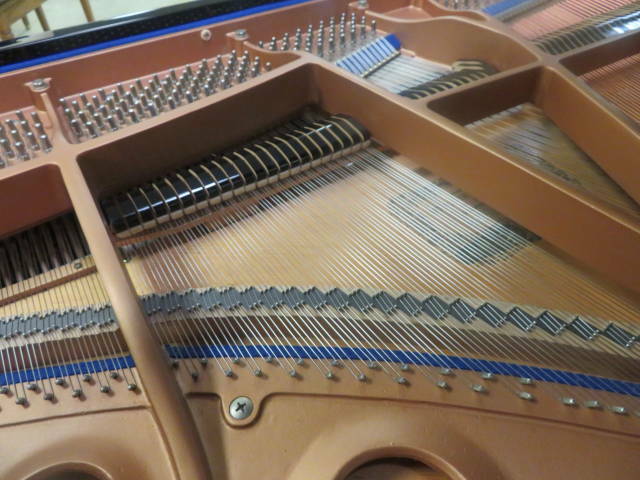 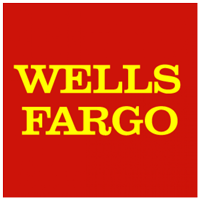 The touch is medium and is very fast and responsive. 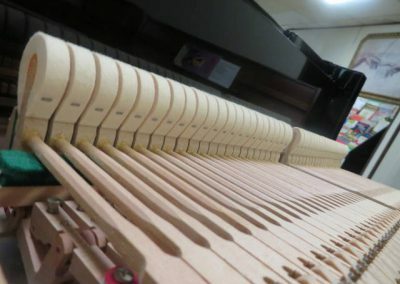 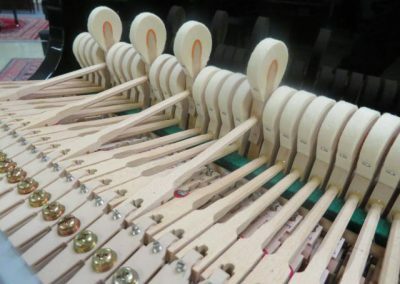 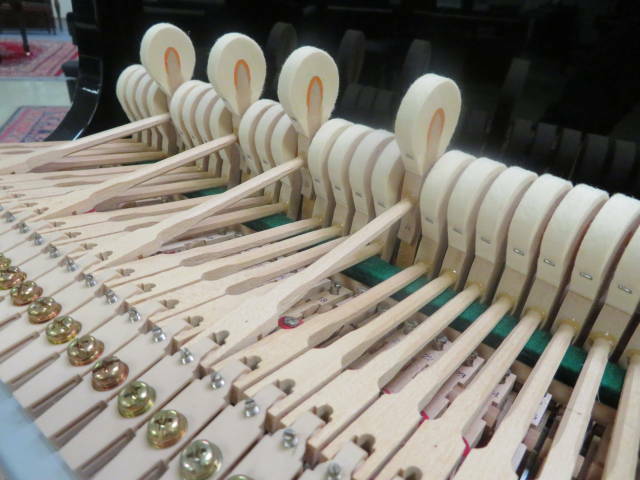 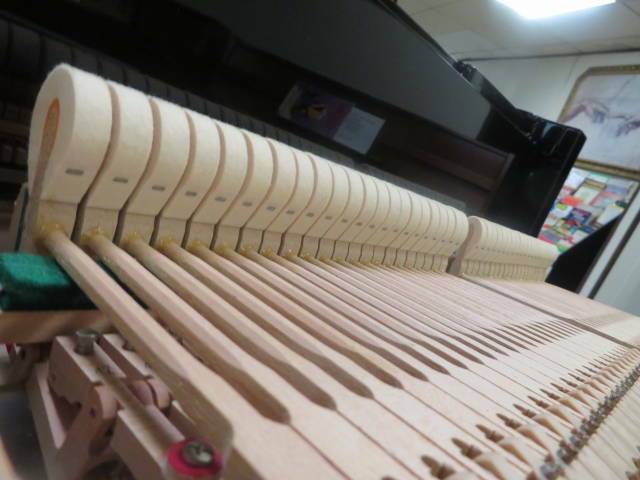 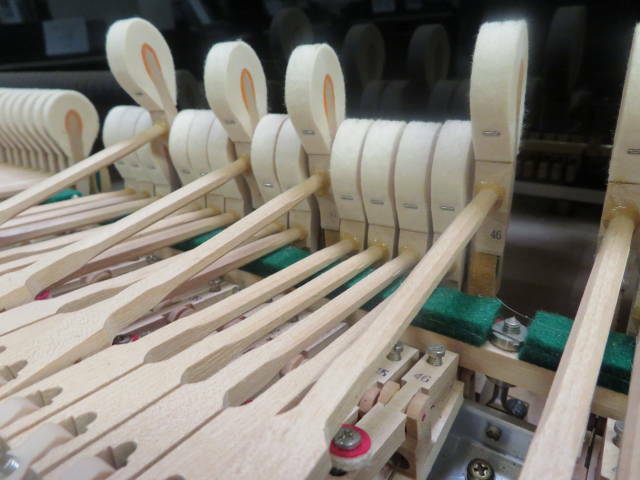 The piano action has been professionally regulated to Kawai specifications by our master piano technicians. 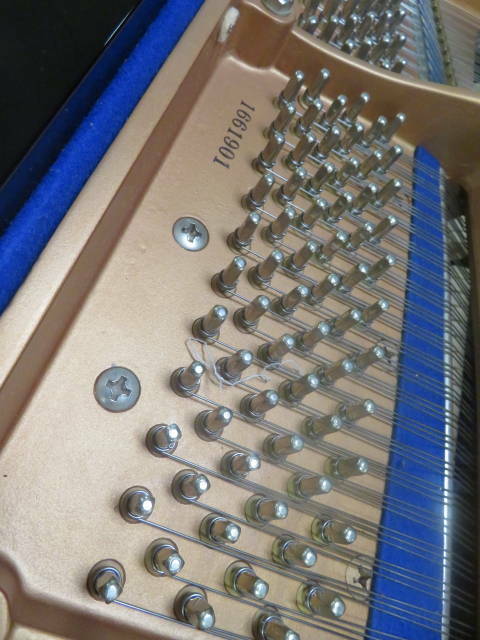 TONE: Beautiful, full, rich tone.